The Cross is not a burden to be carried and endured, but a source of power and strength to give us hope and to guide us in how to live our lives! Think about that. The Cross is NOT a burden to be endured. Too often we talk about the crosses of life. When we suffer or struggle or face unexpected challenges and tragedies, we Christians sometimes find solace thinking that these are a Crosses we have to bear, to endure. Surely, Jesus never taught His followers that life would be easy. In fact, Jesus Himself set the example by suffering and dying at the young age of 33. Then, 11 of his 12 disciples ended their lives prematurely facing persecution and painful deaths. And every day in our Church calendar we remember other saints over all the centuries, many of whom died as martyrs of the faith. 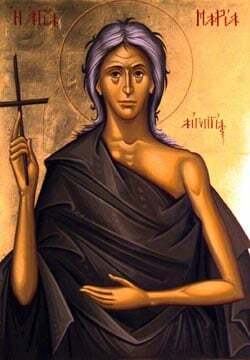 For example, just this past week we remembered 42 soldier martyrs of Amoria, seven bishops who were martyred in Cherson, St Conan the gardener who died as a martyr, and the 40 soldier of Sebastia who wouldn’t deny their faith and were then martyred. In just one week, we remember more than 80 faithful follower of Christ who suffered and died for Christ. They carried their cross. And of course, we can see many other faithful Christians even today in different parts of the world holding on to their faith in Jesus Christ, and willingly offering the ultimate sacrifice of their lives for their faith. All of these examples remind us that life as a follower of Jesus is surely not easy, and yes, a fundamental part of our Christian walk is to be ready to follow Him even to the point of suffering and death. This is why Jesus said in today’s Gospel, “Whoever desires to come after me, Let them deny themselves, take up their cross, and follow me.” Yet, the Cross is not solely a burden to be carried and endured, but also a source of power and strength to give us hope and to guide us in how to live our lives! Here is a key to our faith. The Cross is a source of power and strength giving us HOPE! The ultimate understanding of this is when death comes. We understand that death is NOT the end. Death NEVER has the final say in our lives, IF we are walking with Jesus Christ. The Holy Cross that we draw our attention to today is a symbol not only of suffering but more importantly, it is the sign of HOPE, of POWER, of STRENGTH, and of VICTORY! Never forget that Jesus willingly sacrificed his life on the Cross for a purpose – to experience, endure, confront death itself, and then to destroy it! The dilemma of humanity since the fall of Adam and Eve has been death. Death means our separation from God, our turning away from the Source of Life, and thus, an eternity in darkness. Death is the problem humanity has always faced, and it is still the uncomfortable reality of contemporary society. Just try to talk with someone about death and dying, and watch how uncomfortable they become. I was recently with a group of elderly people in their 80s and 90s, and it fascinates me how even people at the end of their lives don’t want to talk about a reality they all know is coming very soon. And unfortunately, this is true even for many Christians who consider themselves faithful. When we are young we don’t fear death. We think we are invincible and will live forever. When we become sick or an unexpected illness comes to us, we realize we are vulnerable, but we still don’t want to entertain the reality of death. And then even in our old age, when we know our days our coming to an end, even then we don’t want to acknowledge death is fast approaching. Why are we afraid of death? Or more importantly we must ask ourselves, as CHRISTIANS why are we afraid of death? If we truly understand the meaning of the Holy Cross – the means by which Jesus took the sins of the world upon Himself, OUR sins upon Himself, and the instrument through which He experienced death SO THAT he could defeat death - then we no longer need to fear death. This is the power of the Cross! And this is one of the main reasons why we are fasting for 40 days during this sacred period of Great Lent. What is the culmination of the Fast? It is nothing less than reliving again the Passion and Resurrection of Jesus Christ! All our fasting leads up to Holy Week, when we enter into a journey with Jesus into His ultimate suffering, darkness and death, as well as into His ultimate victory! We remember and celebrate, re-living how death has been defeated and followers of Jesus now have a new perspective on this brief sojourn in life on earth, and on our impending death and eternity with God! Today, on the 3rd Sunday of Lent and in the middle of Great Lent, we pause and draw our attention to the Holy Cross of Jesus Christ. We pause and remember in the midst of our 40-day struggle that this fasting period, which is a reflection of our journey through life – a life full of struggles, sacrifices, difficulties, and many crosses - but also a journey towards the ultimate glory, Christ’s victory and liberation of all humanity! Always remember, the Cross is not only a burden to be carried and endured, but first and foremost a source of power and strength to give us hope and to guide us in how to live our lives!